It is now official that the new Hyundai Santa Fe is going to make it stance soon. The all-new Santa Fe boasts all the luxury elements in both inside & outside. Another surprising thing is the new 7-seater Santa Fe XL version is going to allure the market. The 3- engines make the Hyundai Santa Fe a cruiser. Out of 3 engines, two were petrol and one is a diesel variant. As of the petrol engines, it gets powered by the 2.4-litre GDI and the 2.0-litre turbocharged unit that churns 232 BHP which is a bit higher than the predecessor. While the diesel engine get draws power from a new 2.2-litre unit that produces 200 BHP and an 8-speed transmission completes the work with the engines. The Hyundai’s HTRAC ALL-Wheel Drive unit offers Normal, Sport and Smart driving modes which in turn makes the SUV a humungous off-roader too. The Hyundai Santa Fe front boasts an aggressive headlamp setup with a large chrome finish that wraps around the bonnet. While the front profile gets a Hyundai’s signature hexagonal grille that looks more upmarket. 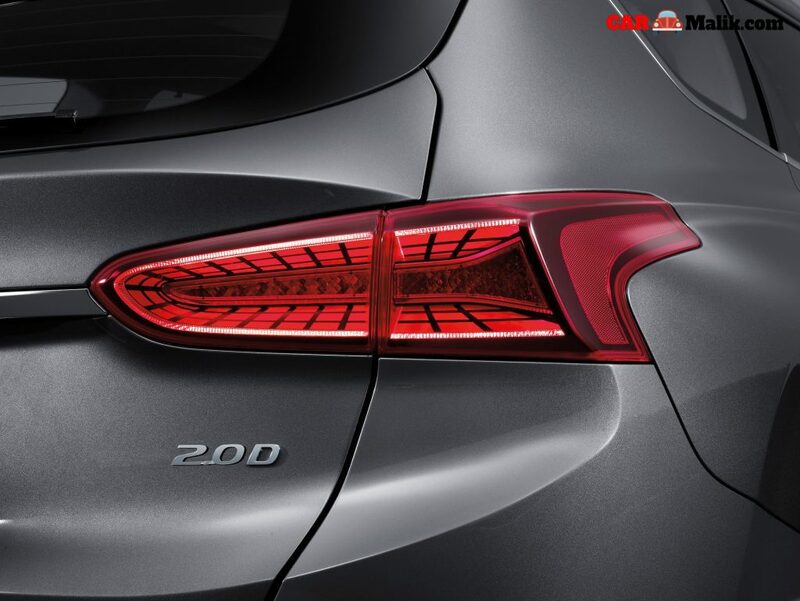 The fog-lamp unit mounted on the bumper looks aesthetic and muscular. The nicely sculpted doors give all the grandeur to the SUV. The rear profile with enfolded tail-lamps makes us sense the artistic design. 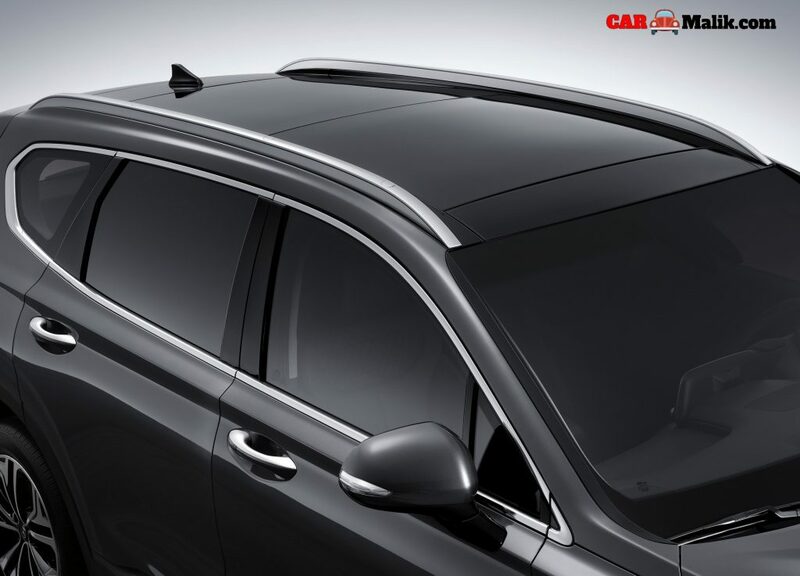 While the boot-lid is angular with charm detailing. As of the measurements, The new SUV now measures 4750 mm in length, 1879 mm in width with a wheelbase of 2766 mm. 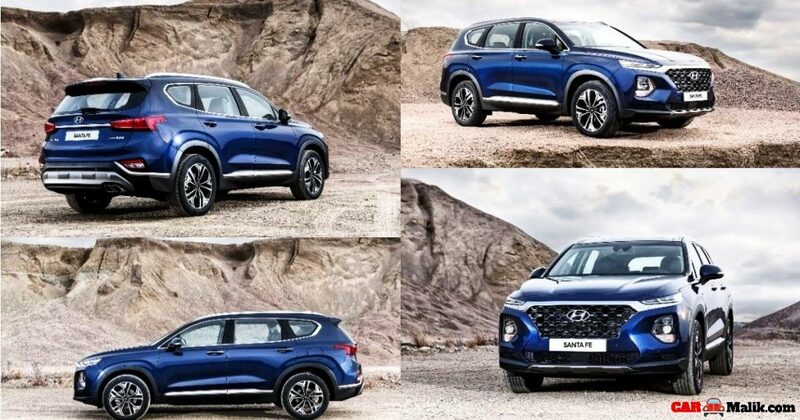 So, with all this upmarket elements and offerings the new Santa Fe stands out to be trendy with it is up to the minute design & styling. 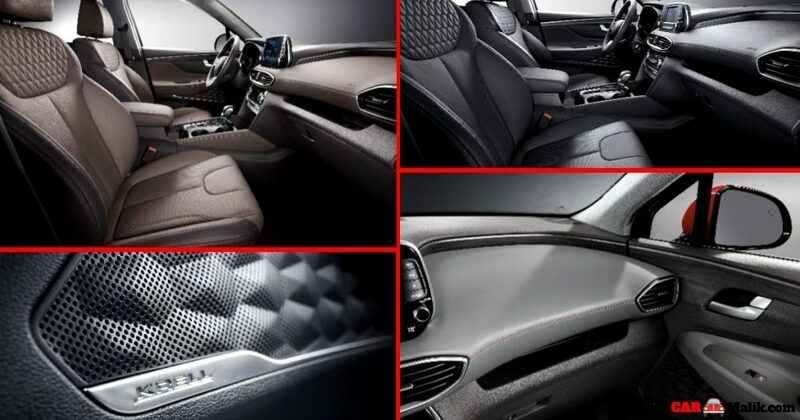 The 2019 Santa Fe also all gets the splendid fitments inside as well. The cabin is nicely architected so as to meet the luxury criteria. The grey and beige color theme inside gives the pleasant feeling to the tenants. Besides, it also gets silver touching which adds all the premium look to the SUV. 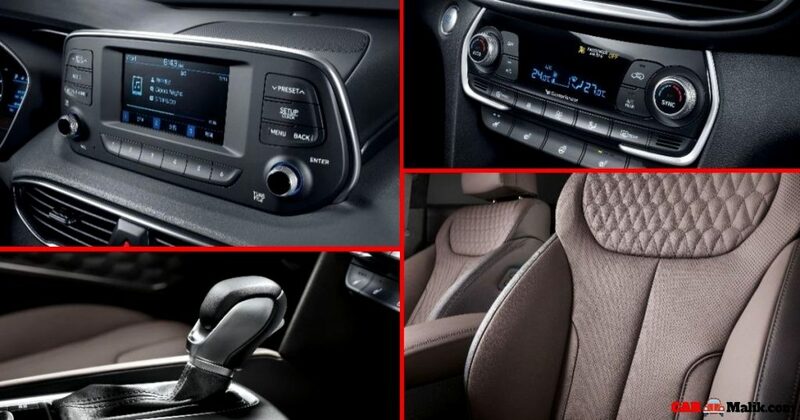 The features like instrument console with backlight, a new touchscreen Hyundai AVN 5.0 Navigation System, an air-con control module, leather upholstery, a centre armrest with headrest, and Also on offer is a Qi charging pad for compatible Android and Apple smartphones are the prominent highlights. 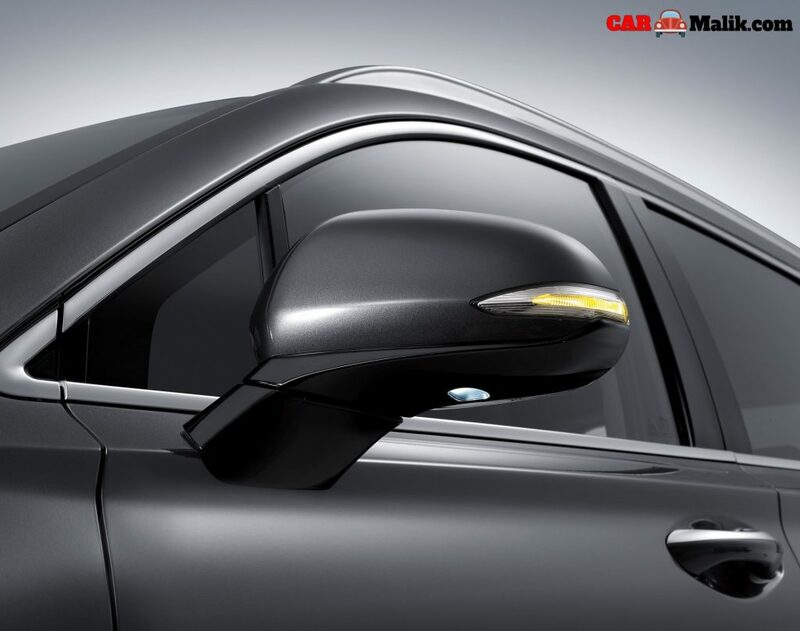 For Safety concern, collision avoidance assists, blind spot collision warning, safe exit assist, lane keeping assist, driver attention warning, rear view monitor with parking guidance, rear cross-traffic collision-avoidance assist are the most trustworthy features. 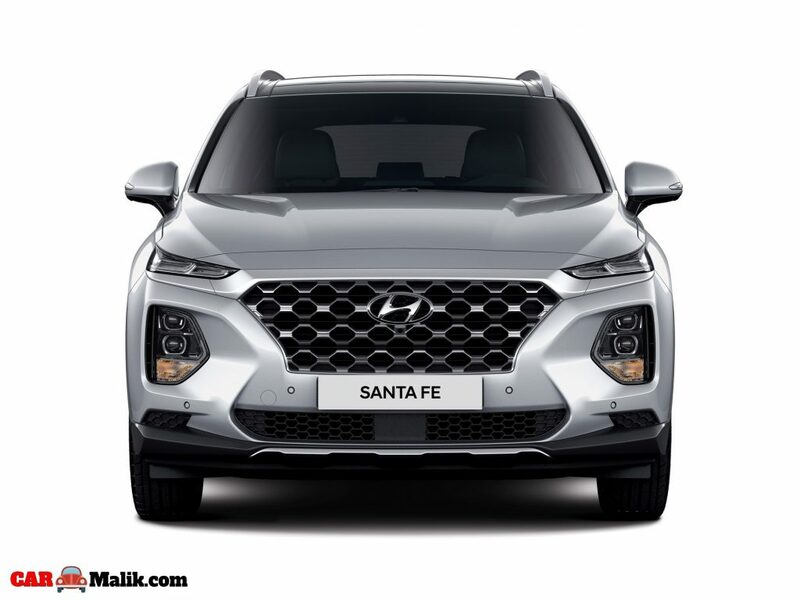 Expect the new Santa Fe in India by the mid or end-of 2019. As of pricing, we expect it may cost in between INR 28 lakh to INR 30 lakh.